Our nature is full of backwards intuition; most of our lives we would rather forget there is something to forgive. ~ L. R. V.
As far back as my mind can go into my tiny little thing called history; I can remember always hoping that my sins would not be found out. I would hope that broken cup would gather dust in the back of a cabinet never to betray me in announcing my “cover up”. The actual breaking of the cup was not injurious, I had not meant to break it. But the act of believing it better to hide the mistake rather than stay fully and openly exposed to my tendency to unwittingly fail; this became my sin. No one taught me to resent the feeling of exposure, it came all by itself. A dog who peed on the rug, will give itself away by behaving “guilty” even after its dried and the owner would likely not have known right away; but for its sulking behavior. Oh that we would just be willing to “give ourselves away”! The desire to hide comes from our deepest ancestory…all the way back to Adam and Eve. What human kind has done to try to extricate the conscience is truly amazing! Yet God, in His mercy, gave us our conscience to make exposure safe, secure and powerless! He knows, if we fully understood that our sins have been removed, then “cup breaking” would not feel tragic. Yet there is only one place in all creation we can go to know what He knows – naked, fully exposed in His ever loving, forgiving arms. I am sure my folks would not have felt hurt over the broken cup, the cover up, however hurt them. Trust is a tricky concept! The human brain does not come by wisdom without the Light of God, we hide, He seeks, we lie and justify, He pours out the truth through our conscience. What a gift! He is softly relentless, the heaviness we feel is our own need to carry the burden. The longer we carry, the heavier the burden; the heavier the burden the more we scrape to forget the cure. What a divinely amazing Love that we can not forget we need forgiveness! And the instant we are willing to come forth, He forgets the sin we had been trying to get ourselves to forget on by hiding! He gives the thing we want the most by our open admittance to the wretchedness we feel! O conscience! Do not heed thy voice! Listen instead to the skeins of Light of your exposure! Especially in what you perceive as the smallest offense and so easiest to be left unremarked! For the One who placed you here within this remarkable vessel stands ready for all He see’s! Love lavishes the clean conscience, it is at its fullest to unrest you until you bring it out for the dusting! 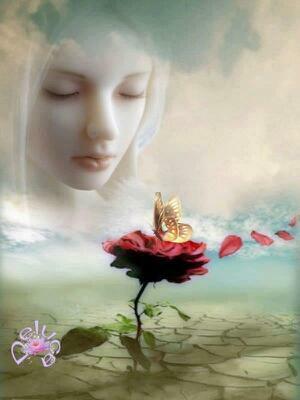 Miracle of God, that You will not forget to remind me only You can forget! Forget not the mercies of a God who can pour out into the sea of forgetfulness by the persistence to bathe in the blood of the Son. Dive in and resist your natural instincts O my soul! For the Lord of your making holds you in tenderness at all times, tender to bruise, tender to heal. His most lavish gifts are “hidden” in exposure! Rejoice then that He does not forget that His mercy and grace are the “reminders” of His reckoning! O, my soul fall into the Arms that catch you! Or perhaps you despise the riches of His kindness, forbearance and patience; because you don’t realize that God’s kindness is intended to lead you to to turn from your sins. Adonai (the Lord) passed before him and proclaimed: “Adonai is God, merciful and compassionate, slow to anger, rich in grace and truth; showing grace to the thousandth generation, forgiving offenses, crimes and sins; yet not exonerating the guilty, but causing the negative effects of the parents’ offenses to be experienced by their children and grandchildren, and even by the third and fourth generations. But oh, how great is Your goodness, which You have stored up for those who fear You, which You do for those who take refuge in you, before people’s very eyes! In the shelter of Your presence You hide them from human plots, You conceal them in Your shelter, safe from contentious tongues. In union with Him, through the shedding of His blood, we are set free – our sins are forgiven; this accords with the wealth of the grace He has lavished on us. I gave her time to turn from her sin, but she doesn’t want to repent of her immortality. Adonai will fulfill His purpose for me. Your grace, Adonai, continues forever. Don’t abandon the work of Your hands!